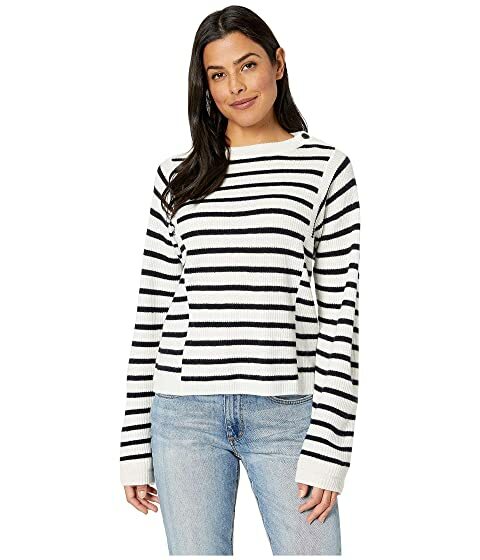 Keep your style sleek and simple with the Vince® Mixed Stripe Pullover Sweater. Ribbed, crew neckline with side button closure. Long sleeves with contrast ribbed cuffs. We can't currently find any similar items for the Mixed Stripe Pullover Sweater by Vince. Sorry!